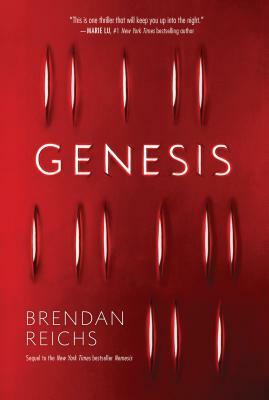 Brendan Reichs was born and raised in Charlotte, North Carolina, and holds degrees from Wake Forest University and the George Washington University School of Law. After three long years working as a litigation attorney, he abandoned the trade to write full-time. He is the author of the instant New York Times bestseller Nemesis and its sequel, Genesis, and coauthor of the six-volume Virals series. Brendan is also a member of the executive board for both the YALLFEST and YALLWEST literary festivals and has received an MFA in creative writing from the Vermont College of Fine Arts. He lives in Charlotte with his wife, son, daughter, and a herd of animals that tear up everything.